We’ve been servicing the Lawrenceville, GA area for over 10 years. 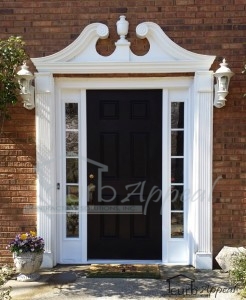 Professional garage door repairs and installations, remodeling and other home improvement services are all within our scope of work the the Lawrenceville area. We’ve worked with home and business owners from the Johnson Road area to the Gwinnett County Airport. From the smallest home repair project to complete remodels, we’ve got Lawrenceville covered, as always. We offer repair and installation for all types of garage doors and openers. Commercial and residential. We do interior and exterior remodeling. Additions and detached storage/garages. Check out some of the work we've been doing in your neighborhood. We've also got more photos of our work on our blog, and in our gallery. You can also see more about what types of services we offer on our main page. A new front door and sidelites have been installed and painted. 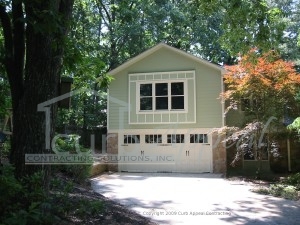 View photos of a Lawrenceville, GA home that has new exterior paint, siding, and a new garage door. This Classica garage door from Amarr features a glazed top section along with some decorative hardware. The garage door was painted to match the home.